I thought I'll share a few of my necklaces that have been in rotation for the past couple of months. 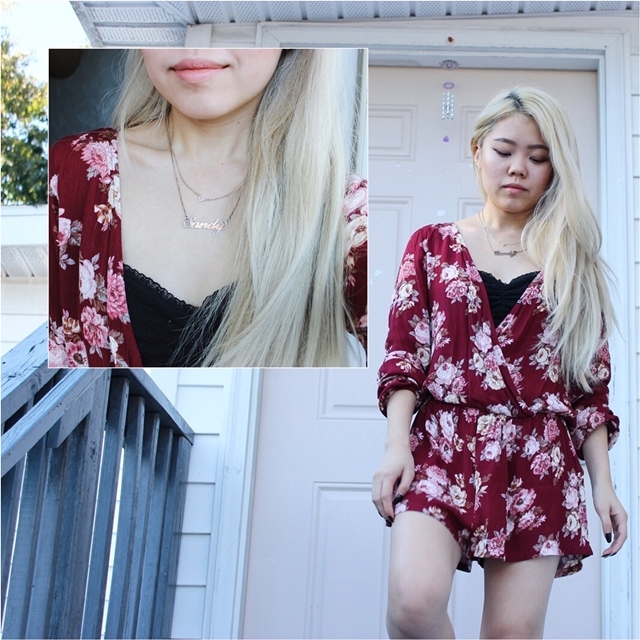 Necklaces are definitely one of my favorite jewelry to accessorize an outfit with. 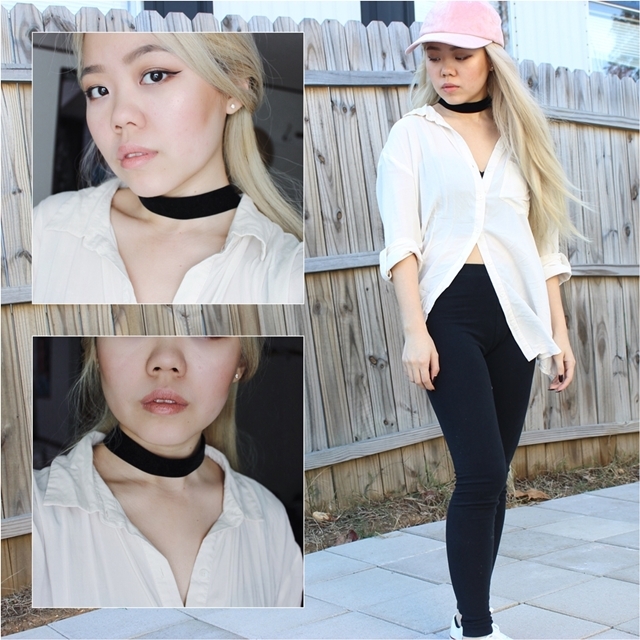 The looks I'm about to show can go without a necklace, but notice how just a simple piece can amp up the whole outfit. 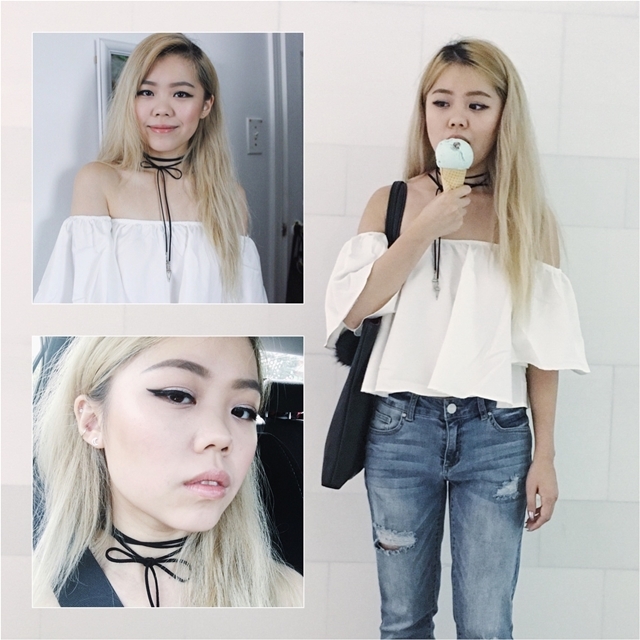 Where is the top from your last outfit from? It's so cute! 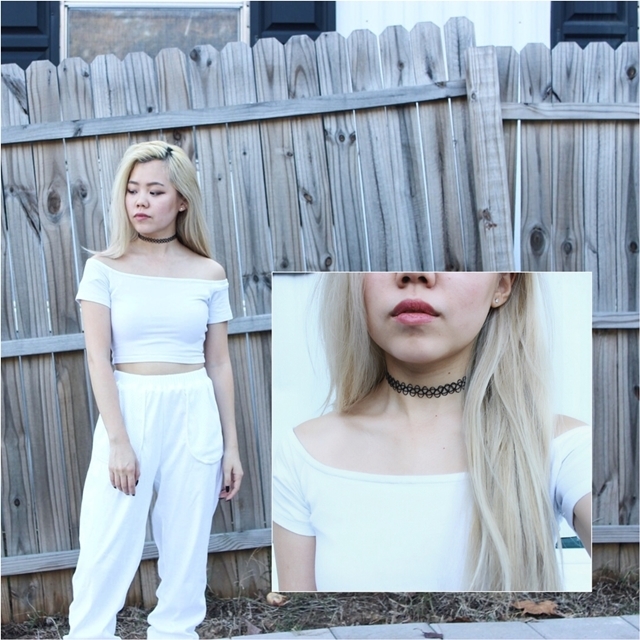 love your chokers. such a throwback.